Lead Your Family Into Success! The month of June is dedicated to the men. The Lord appointed the man to be the priest of his household. This job incorporates a lot of responsibilities. Unfortunately, most men take their duties very lightly which result in dire consequences for themselves and their family. 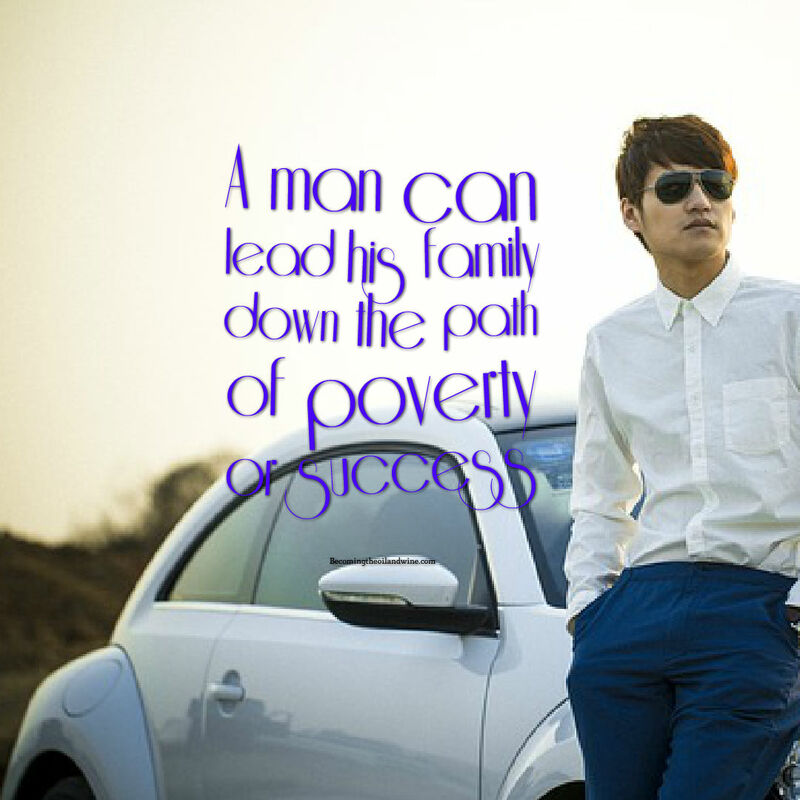 A man can lead his family down the path of poverty or success depending on his characteristics and his leadership. Men are still blaming God and their wives for their failures and inadequacies. They need to understand that God gave them the power and authority to control the earth and animals. God gave them the women to share equally in this responsibility but if the woman fails the man is responsible. I use to blame myself for the failure of my marriage until God told me that He did not hold me accountable because I was a vessel and a victim of the marriage. The ultimate responsibility rested with my husband. God gave him the ability to steer his marriage in the direction that God intended it to go, but this could only be done by his total obedience to God. Moses was one of the greatest leader and prophets of the Bible, and he led the children of Israel for over forty years in the wilderness. The Israelites were a rebellious nation, but Moses lived daily in the presence of God and was obedient to His word. Hence, he was successful in the job that God appointed him to do. Therefore, during this month, the daily devotion will examine the characteristics of a king and priest and select lessons from the wilderness journey of the children of Israel to teach and encourage the men to lead their family in a successful life. Do you believe that you are the best husband, father or leader that God wants you to be? How can you improve? Share with us.